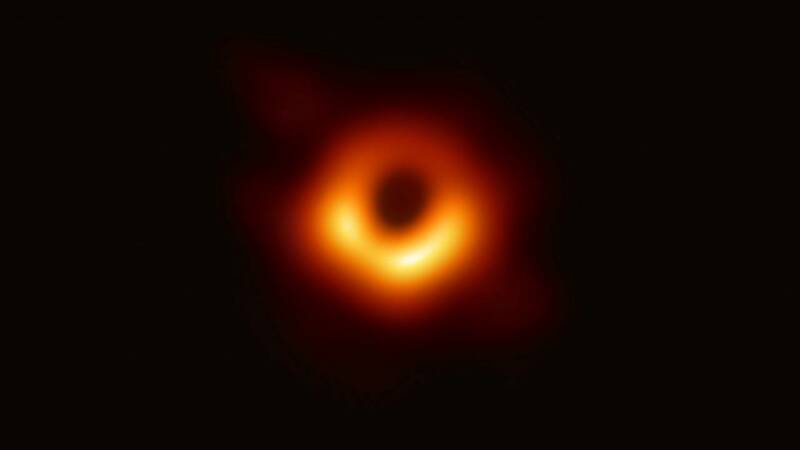 The long-anticipated photo — in which a black hole's silhouette is visible as a dark patch surrounded by a bright ring — was shown in a series of press briefings held simultaneously in Washington, D.C. and five other cities around the world. As the name suggests, black holes themselves are completely black — invisible. But scientists had long believed that radio waves given off by the gas and dust swirling around a distant black hole's so-called event horizon — the theoretical boundary marking the point beyond which all light and matter pass inexorably into the black hole — would be visible through a sufficiently powerful telescope. Dramatic as it is, the photo unveiled today may be just a prelude to what's to come from the EHT. "As with all great discoveries, this is just the beginning," said EHT chairman Shep Doeleman.